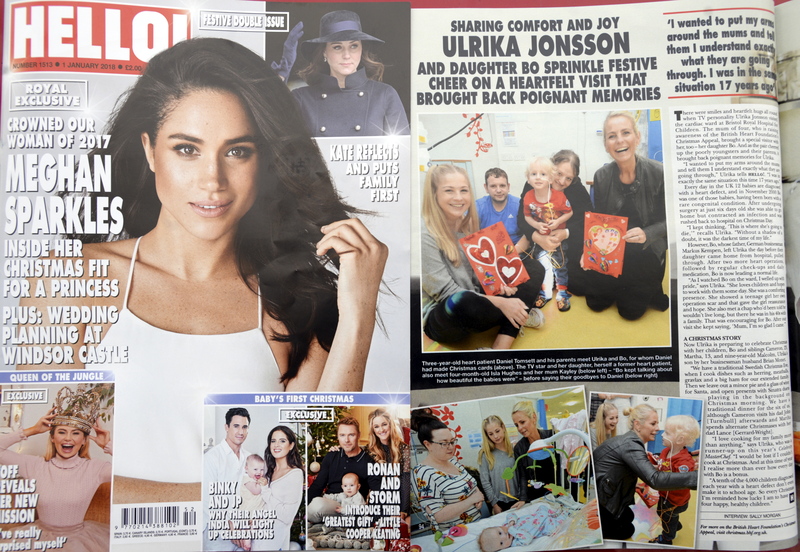 Ulrika Jonsson visiting the Bristol Children’s Hospital makes a page of pictures in HELLO magazine. 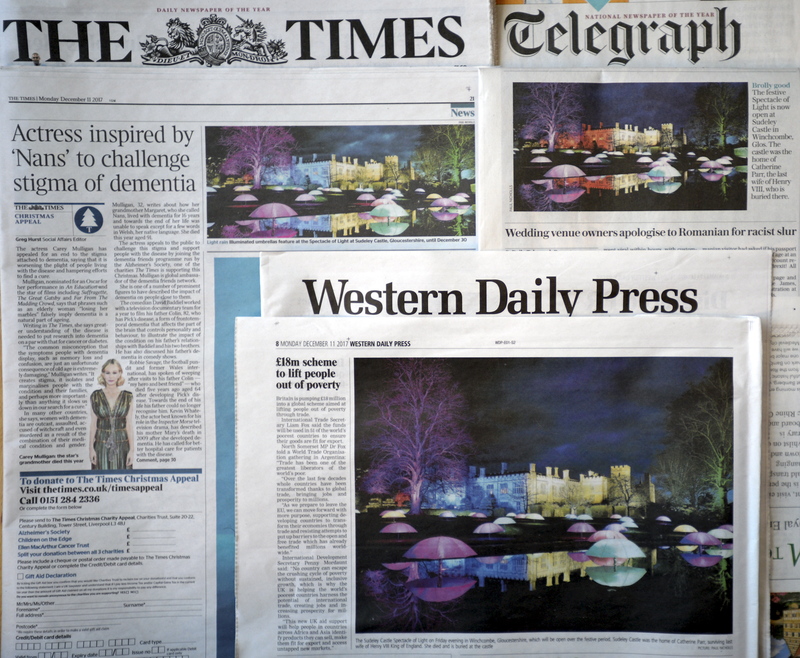 My Spectacle of Light pictures at Sudeley Castle in Winchcombe, Gloucestershire, make the Times and Telegraph in print. 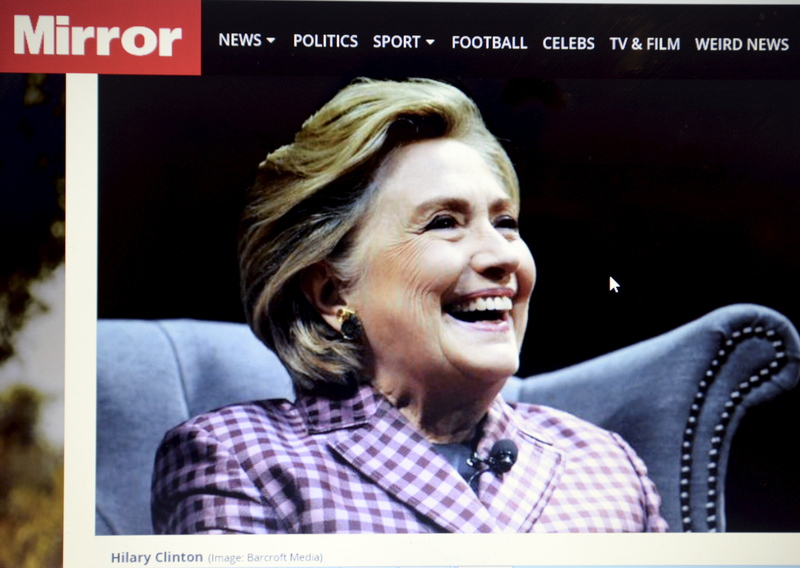 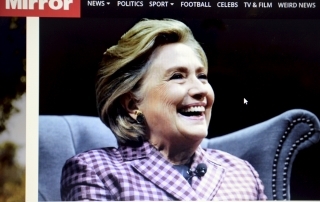 Hillary Clinton at the Cheltenham Literature Festival makes the Telegraph Online and Mirror Online. 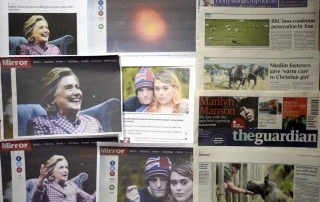 Pic used Mirror Online, Telegraph, Guardian,Times, Metro. 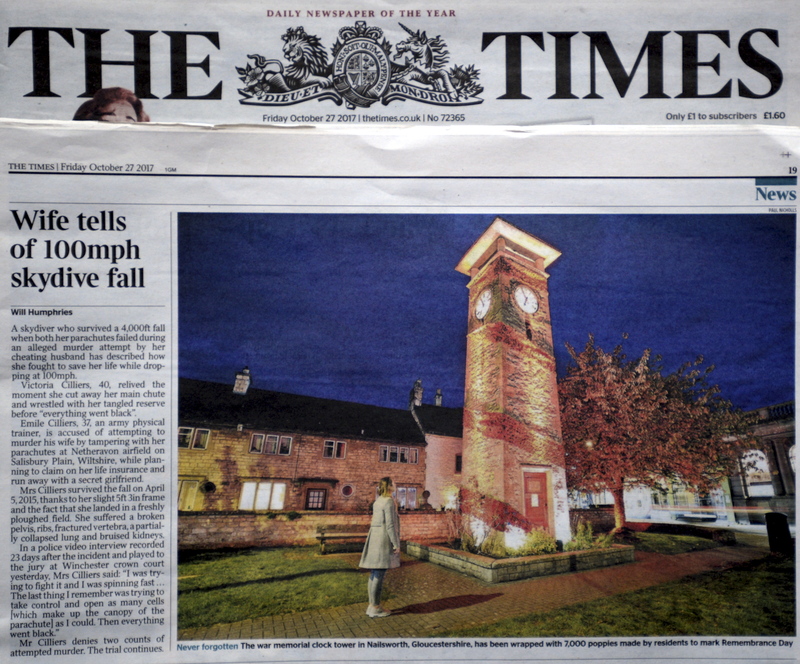 7000 poppies over the Nailsworth Town Clock for Remembrance used over half page in The Times. 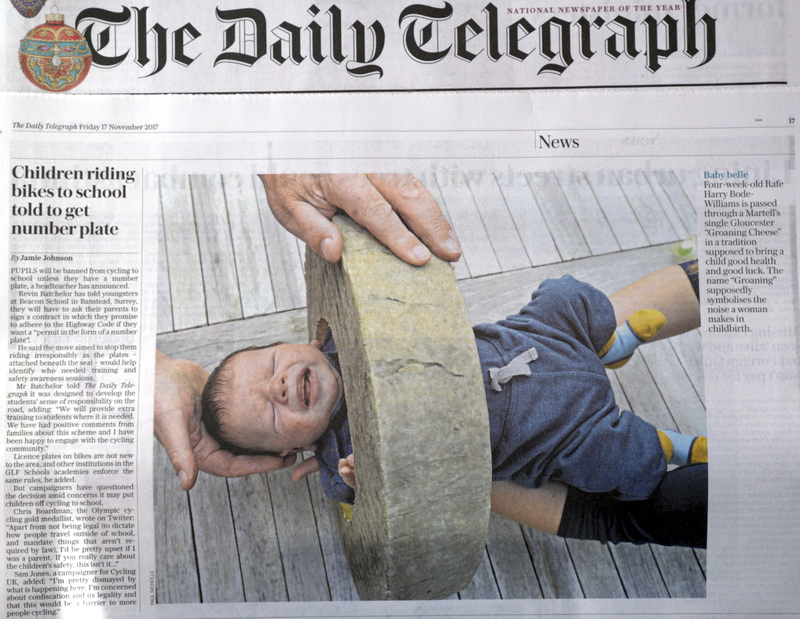 Groaning Cheese, an old English tradition where a baby is passed through a cheese for good luck. 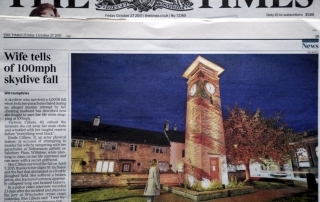 I was invited to this and the Daily Telegraph bought it. 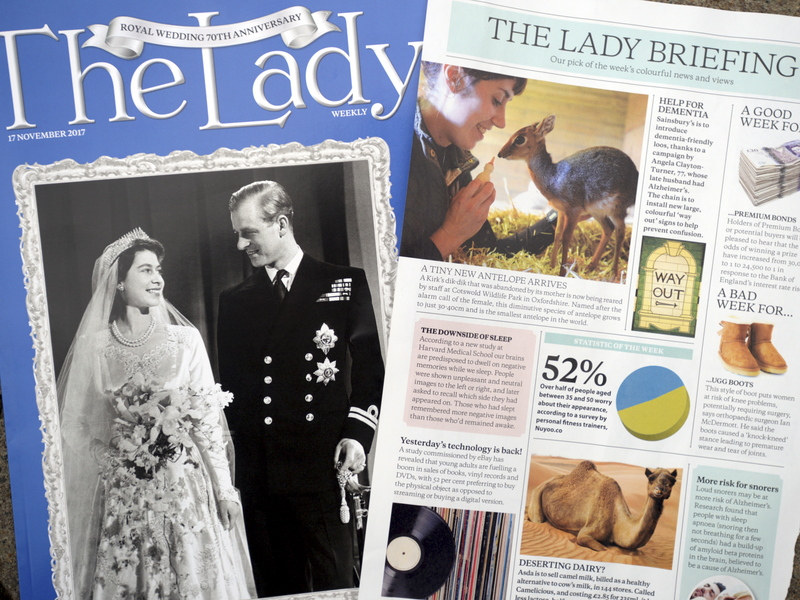 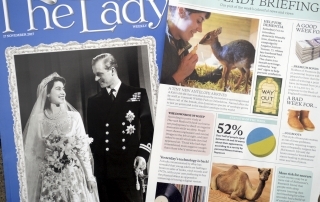 A baby Dik Dik at Cotswold Wildlife Park makes The Times and The Lady magazine. 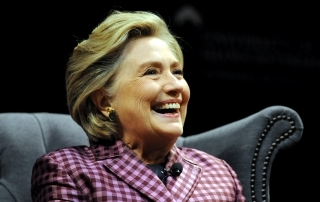 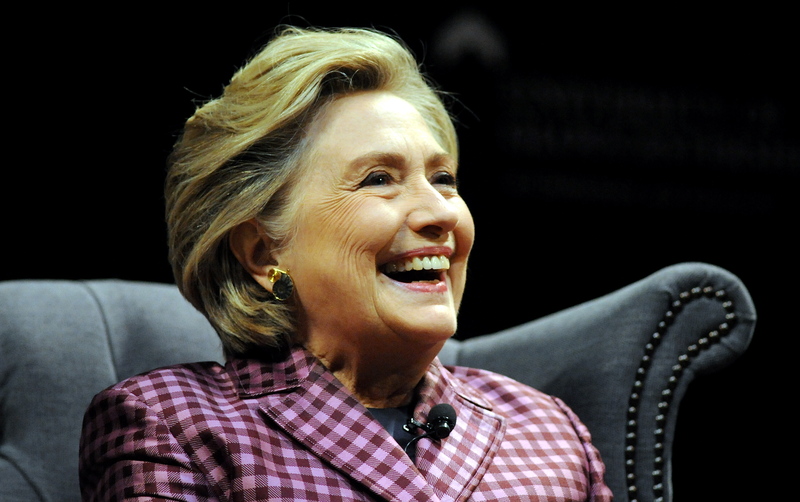 Hillary Clinton at the Cheltenham Literature Festival Sunday 15th October 2017. 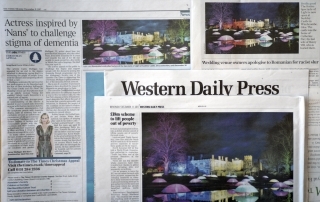 My pics made Mirror online and the Telegraph online. 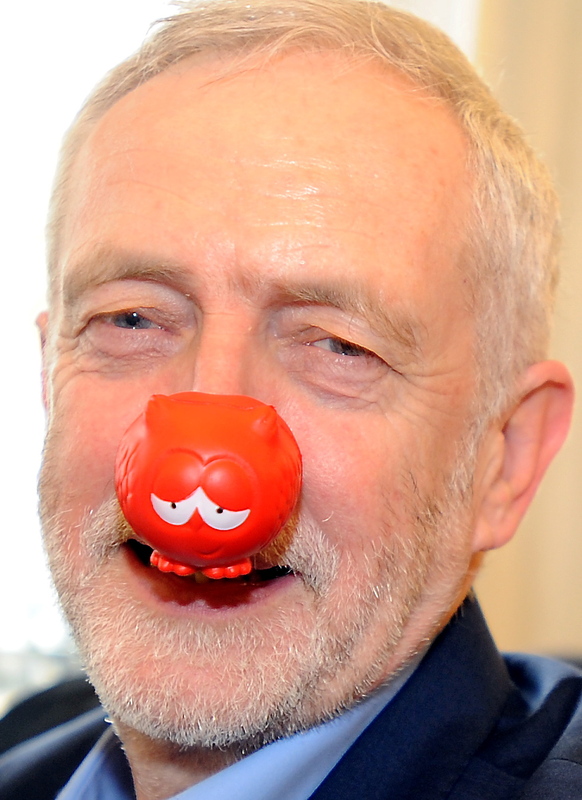 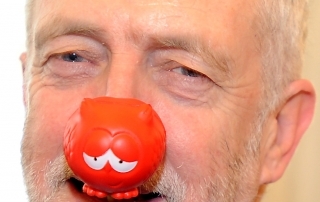 On Red Nose Day I was photographing Jeremy Corbyn and persuaded him to wear a red nose. 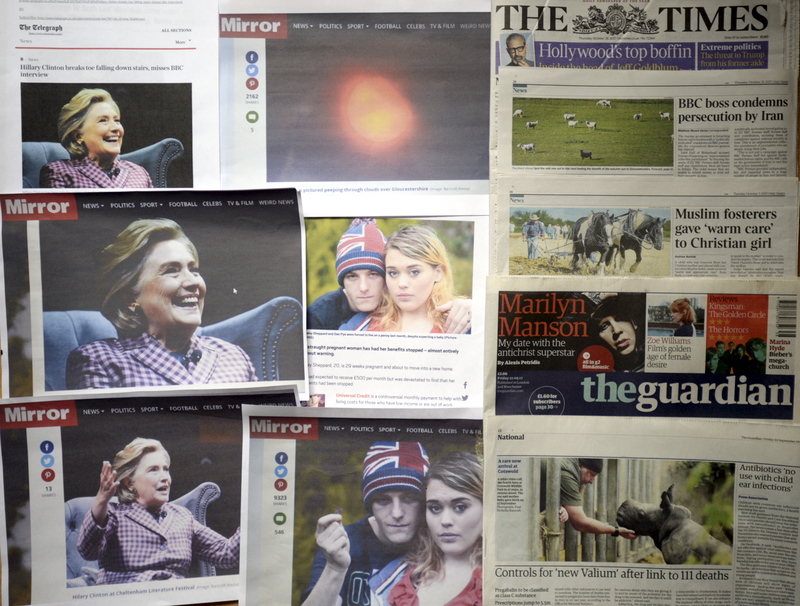 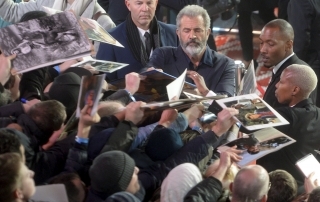 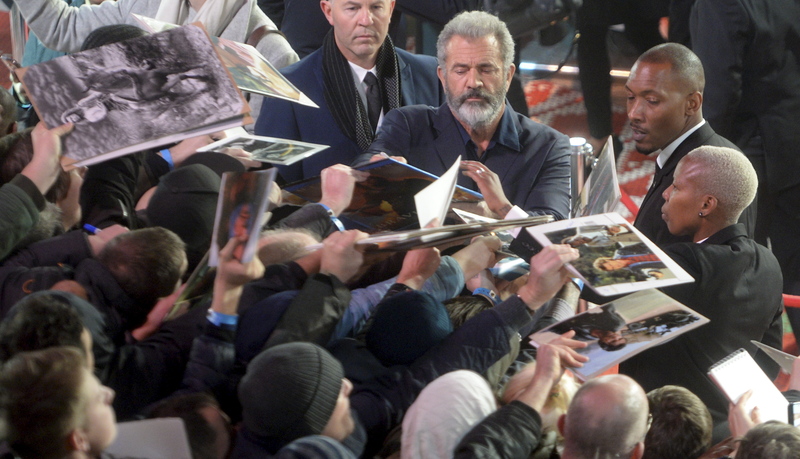 The pics made The Daily Mirror, The Sun and Daily Star.